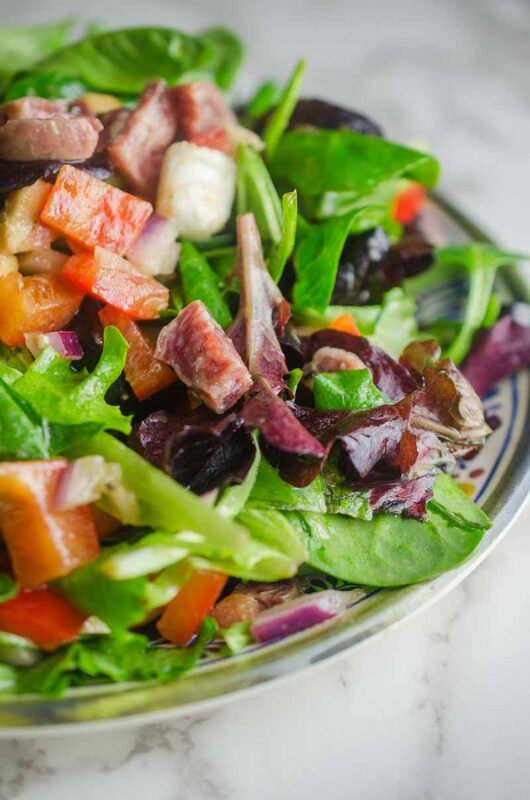 Italian chopped salad LOADED with salami, mozzarella and veggies all tossed in a tangy balsamic dijon vinaigrette. Eating a big salad for lunch is always a goal of mine. I try to do it at least once or twice a week. It doesn’t always work out as planned but when it does, I always feel so much better! 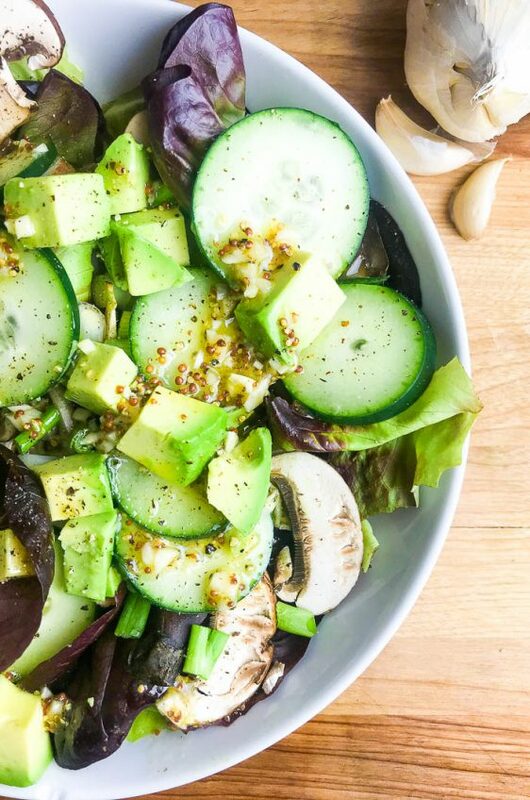 Eating a big salad is such a great way to get all of your veggies into one meal. One of the ways I can keep on track is by changing up things when it comes to salads. Sure a traditional green salad is good and all but day after day it can get kind of boring. Mixing it up with different greens, different veggies and different proteins really helps keep things fresh. Some of my favorites are crispy chickpea and arugula salad, tarragon shrimp salad, a loaded greek salad and this Italian Chopped Salad. What is an Italian Chopped Salad? A chopped salad is exactly what it sounds like. Each ingredient is chopped to a uniform size. This Italian Chopped Salad is full of flavor. It’s chock-full of all kinds of goodies. 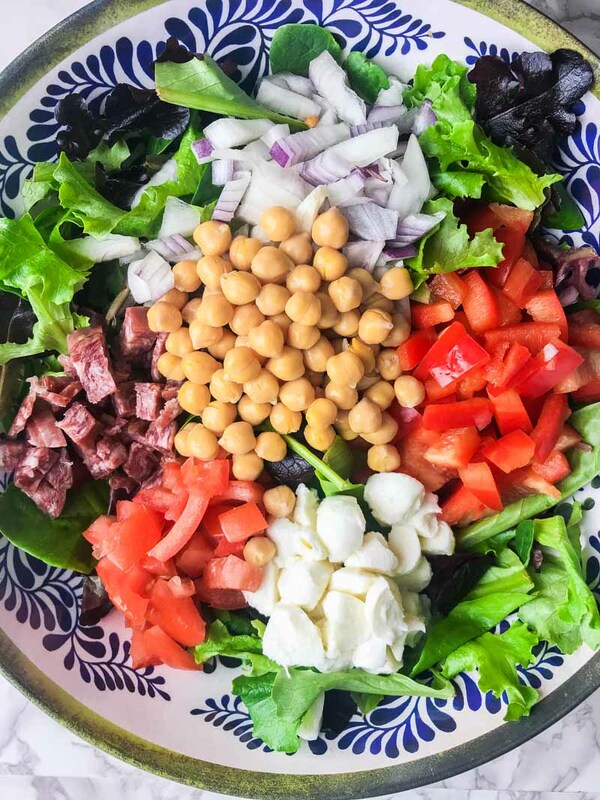 Lettuce, chickpeas, red onion, tomatoes, mozzarella, red pepper and salami. So many good things it’s impossible to resist. And the great thing about this salad is it is open to many variations. If you don’t like one of the ingredients leave it out. If you want to add another ingredient, go ahead! 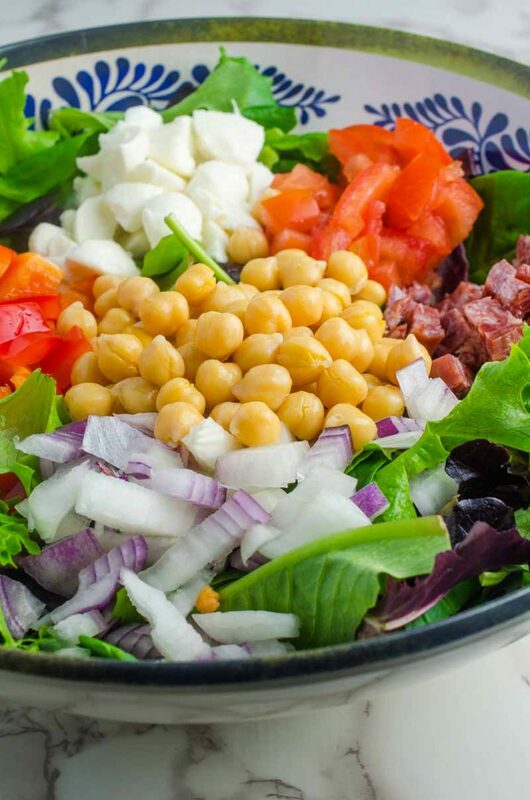 To make an Italian Chopped Salad, start by layering the greens in the bowl. Next, you will want to add in each of the chopped ingredients and toss them together. Next, pour the dressing over the salad and toss to coat everything completely. If you like, you can assemble the salad ahead of time. However, it is best to dress the salad right before serving. That prevents the lettuce from getting to soggy. If you want to enjoy a single serving, it’s best to toss the salad together, dish up the amount you want and dress that. What is in Italian Dressing? And every good big salad, needs to have a great dressing right? And there are any number of Italian dressings that you can find in the condiment aisle at the grocery store. But making your own dressing is incredibly easy. Most Italian dressing has oil, vinegar and seasonings. The dressing on this Italian salad is no different. 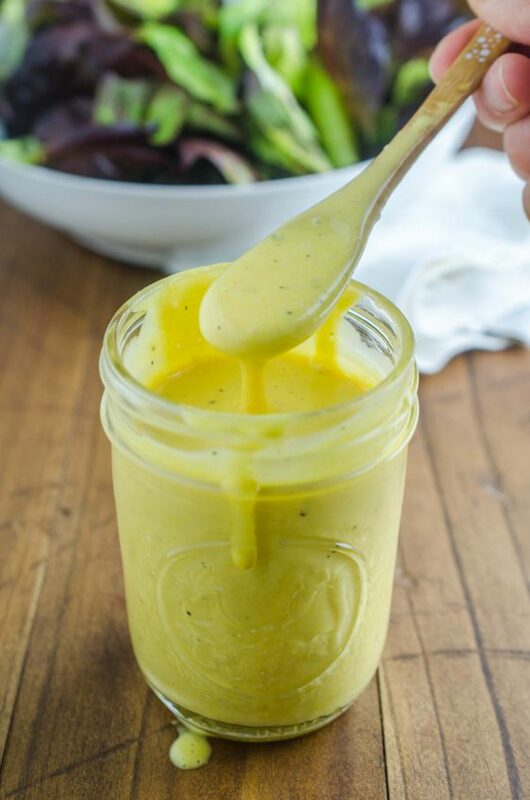 It’s a simple Dijon Balsamic Vinaigrette and oh goodness is it good. And it only needs 5 ingredients that you probably already have on hand. 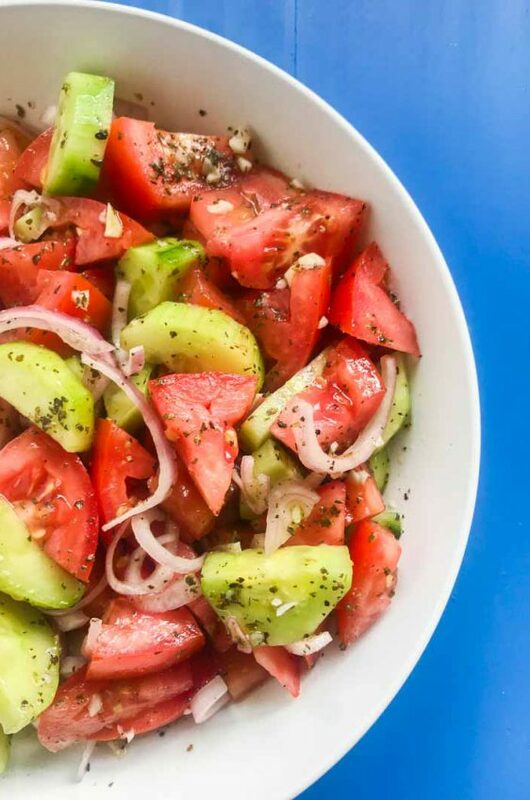 I am not kidding when I say that this salad is loaded with flavor, I could probably eat the whole bowl by myself but it would also be the perfect salad for those warm summer nights outside. Of course you could then wash the whole thing down with a glass of pinot gris or rosé. Now, who’s ready for lunch? If you’re still not sure, this video will make you hungry for sure! Note: This recipe originally posted in 2014. 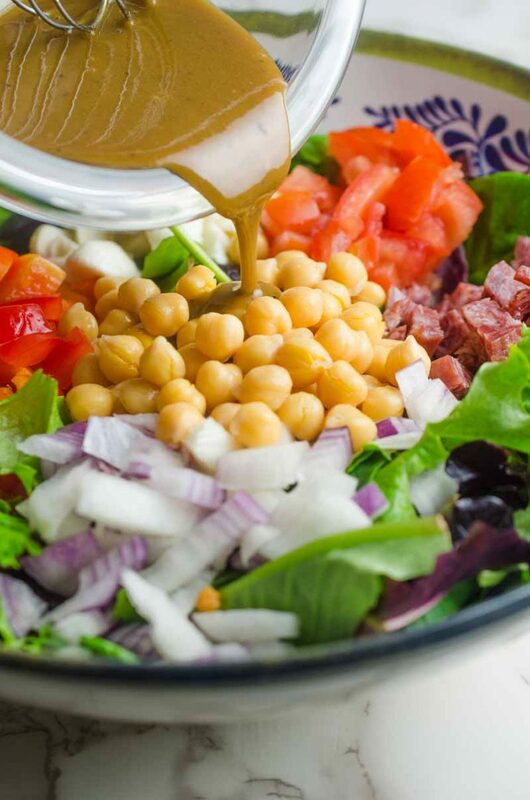 Prep the salad dressing 30 minutes ahead by simply whisking all ingredients together and allowing to set at room temperature. Combine all salad ingredients together in a bowl. Toss with salad dressing and serve. Love all the fresh veggies! This looks so flavorful and delicious! My son wanted a pizza party for his birthday and I made this salad to go on the side for the adults. So so good. Many compliments, many recipe requests, salad bowl was licked clean. Looks so delish and fabulous! I love those chunks of veggies, need to put this on my menu! What a lovely salad, and I love the simple, flavorful vinaigrette! Totally my kind of salad! Love everything about this! I can NOT wait to try the Dijon Balsamic Vinaigrette! Look at all of those gorgeous veggies! Looks delish! Sounds delicious! A great meal for lunch! This salad is so pretty! I can’t wait to try making it! Yum! 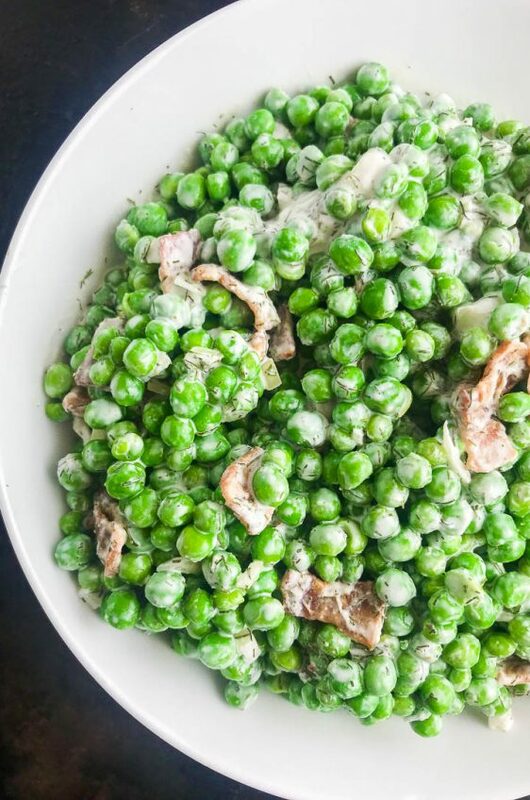 This looks like a hearty, delicious salad! No sad lunch here! This salad is divine. It’s like all of my favorite things in one dish! I LOVE a chopped salad! That vinaigrette sounds amazing! I like the salami in this! 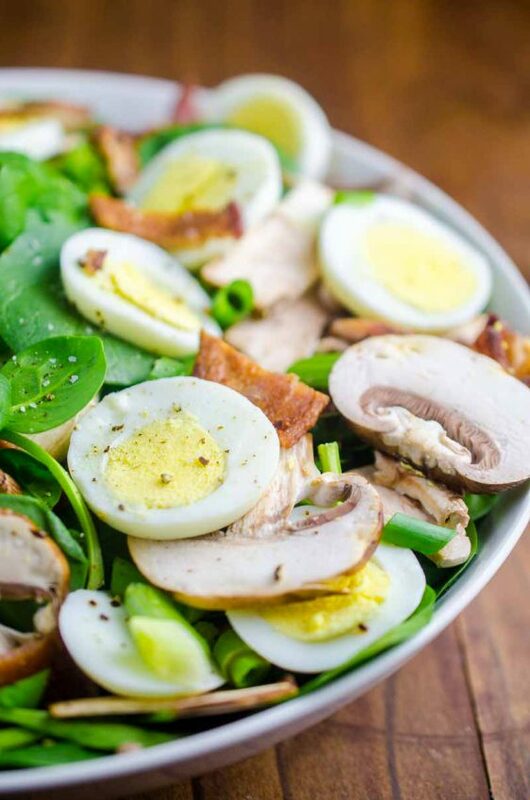 This salad sounds perfect for lunch today! I am loving everything about this salad. All those flavors… YES! This salad will help me stay on track this month. I will be saving this for next week. That sounds like my kind of salad, yum! If I had this salad for lunch everyday I would be the happiest girl around! So fresh and delicious! Great dressing too! I love the goal of having a salad a week! This looks like the perfect salad to start with! I love this salad, looks great. 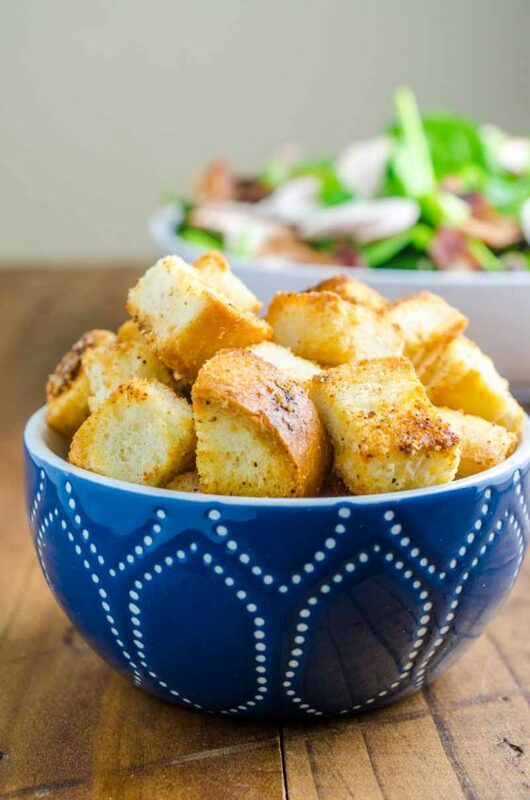 This salad looks so fresh and delicious! Love all the colors! That is SO cute about Halloween, what a sweetheart. Happy birthday to him! Happy birthday to your little man! Birthdays are the best … But can be exhausting too :) so much to celebrate! This is my kind of salad. Glass if wine and all!